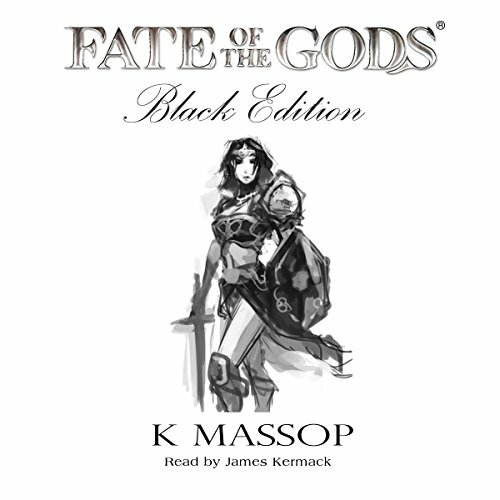 Fate of the Gods: Black Edition is the fictional noble tale of tantalizingly complex battles in which gods, goddesses, and unbelievable mystical creatures clash in fierce combat on and above the world known as Lacertus. Humans and other beings mix supernatural war strategy with magic, sorcery, and a barrage of paranormal weapons in a life and death struggle for worldly as well as heavenly kingdoms, honor and, most of all, the very the existence of the world. Author K Massop skilfully takes the listener on a rapid paced, electrifying fantasy adventure set in the 14th century. The words spin an incredible story crammed with unexpected twists, astonishing turns, and a bombshell ending of epic proportions. Very interesting characters and plot. Kept me entertained through out the story. I hope there's going to be a sequel.